Feature a swipeable series of cards in a single ad to tell a deeper story, showcase multiple offerings, or provide insights for your audience. Draw in the decision-makers that matter most to your business with eye-catching visuals that invite interaction on desktop and mobile. Raise brand awareness and consideration, send traffic to your landing pages, and acquire quality leads with LinkedIn Lead Gen Forms. "We decided to test LinkedIn carousel ads to drive conversions on our site; what resulted was a high CTR and the opportunity to visually showcase more of our content...we will definitely be implementing Carousel Ads to a broader audience in the near future." Inspire a professional audience to engage with your brand with interactive carousel ads directly in the LinkedIn newsfeed. Run carousel ads to drive valuable results at every stage of the buying cycle. Customize your carousel campaigns to build brand awareness and consideration, drive traffic to your landing pages, and generate high-quality leads. More ad space means more flexibility to achieve your business goal. When you build a carousel, you can customize the content you add to each carousel to support your different objectives. To build brand awareness and consideration, tell a brand story, or provide various helpful insights to your audience. To generate demand for your business, showcase multiple products at once, or feature a single product in depth to inspire your audience to take action. Test different ways to package carousel cards together. Adjust the total number of cards, the order of cards, and the individual headline descriptions on the cards. Break down carousel metrics - like click-through rates and impressions - by each individual card in the reporting, and optimize accordingly. 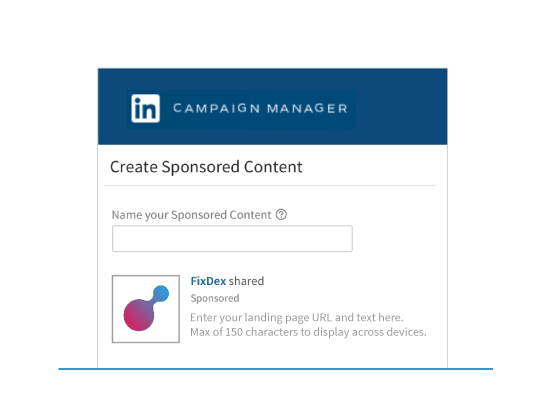 You can also track the number of leads you’re getting with LinkedIn Lead Gen Forms, or install an insight tag on your website to get conversion data using LinkedIn Conversion Tracking. Read these tips to learn how to set up a carousel campaign and optimize your current ads. Need help getting started? 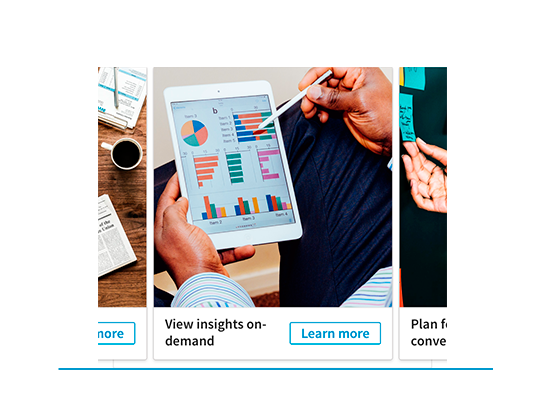 Learn best practices for launching your first advertising campaign on LinkedIn.